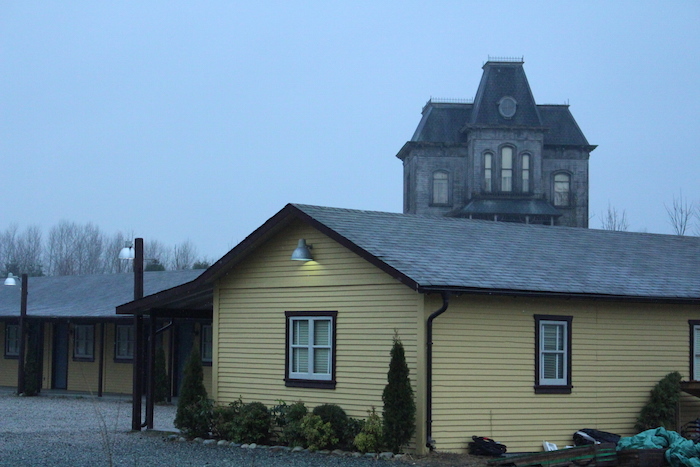 Occasionally, in the middle of watching the Bates Motel, I will forget that the set is located down the street and just get completely sketched out by what’s going on. Good TV will take you out of your own sense of reality and plant you straight in the middle of the story, and that’s what Bates Motel does for me. Which is impressive, because I’ve watched them film it from afar. 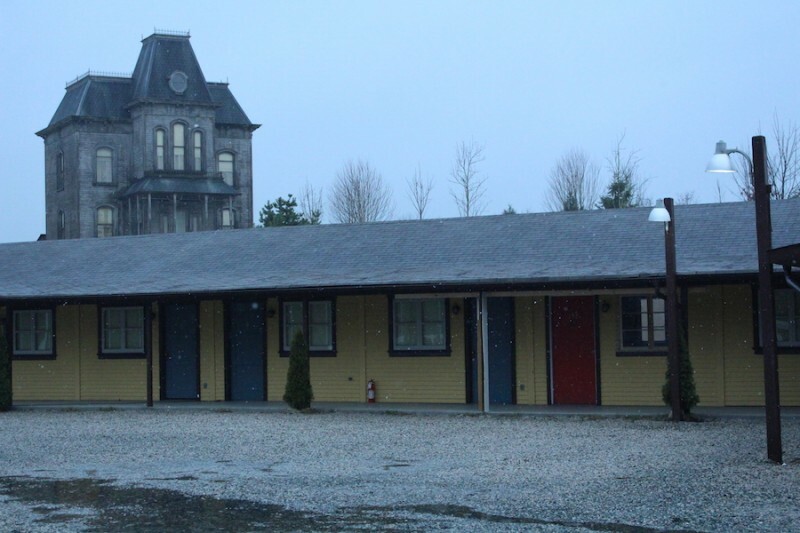 Here’s my latest shots of the Psycho house and the Bates Motel. It’s so pretty when it snows out there, and you can just imagine Norman grabbing his sled and whisking down that hill to make a snowman. Do you want to build a snowman Norman? Probably not. 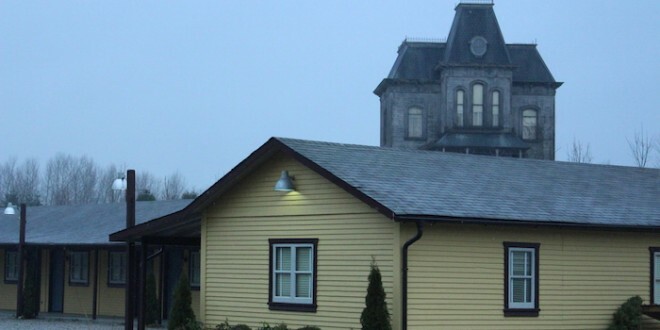 We’ll catch up when Bates Motel Season 3 premieres in March.